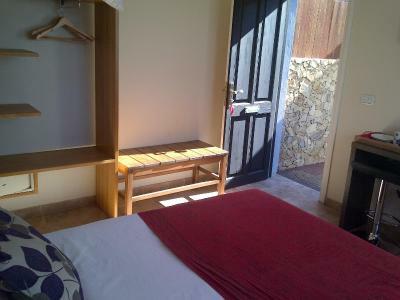 Lock in a great price for Le Vrero | Boutique Hotel – rated 8.7 by recent guests! 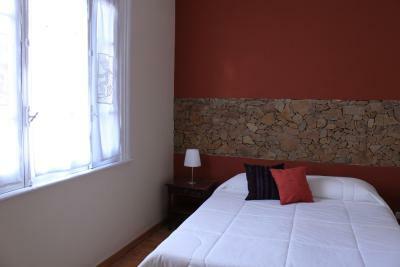 Tho the property is unique heritage-We were pleased with the cleanliness of the room and the quality of the bedding. 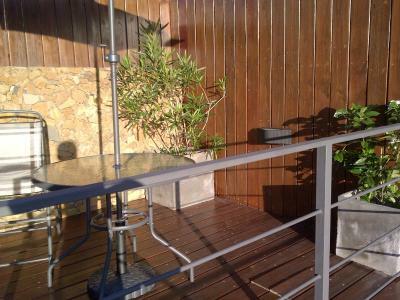 The location is great, a few steps away from the Bus/Ferryboat Station and very close to the city center. This was an excellent choice for us especially because it is walking distance from both the bus station and the buque ferry. Value priced hotel is convenient to ferry terminal, restaurants, and historic area - all within easy walking distance. Staff very knowledgeable about all the necessary tourist info. I took the recommended guided tour of the of the World Heritage site which was excellent. This is a cute hotel close to everything in Colonia. Breakfast is good and there is a nice courtyard. The staff is friendly and knowledgable. Our room was small but had a good sized bathroom. We walked to everything! The staff also were good to tell us places to see and good places to eat. We would stay here again. We parked on the street right outside the hotel with no problem. Loved the private terrace on my second floor room. Very quiet street and my room in the back was even quieter. 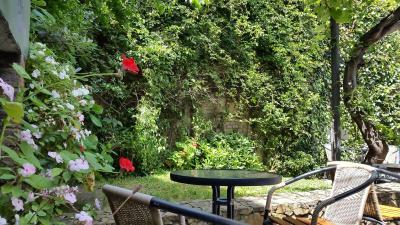 Great location, short walk (7-10 minutes) to the historical sites. Walking distance to port and bus stop, even with a roller bag and backpack. Luciano, the gentleman at the front desk, was friendly and extremely knowledgeable about the city. He gave us a map and went through it in detail with us, suggesting places to see and time of day we should go. He was great at his job! Very small and exclusive hotel with very good facilities. Everything works well. Very nice staff. Le Vrero | Boutique Hotel This rating is a reflection of how the property compares to the industry standard when it comes to price, facilities and services available. It's based on a self-evaluation by the property. Use this rating to help choose your stay! One of our best sellers in Colonia del Sacramento! 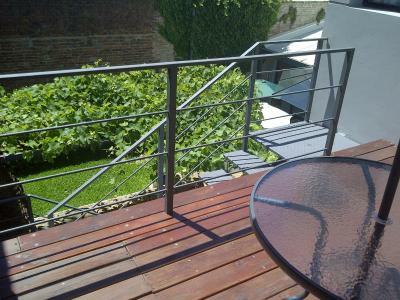 Welcoming guests over 12 years old only, this boutique hotel is located 500 feet from Colonia del Sacramento’s harbor and 1,650 feet from the town’s historic center. The property offers free Wi-Fi and Continental breakfast. Guests at Le Vrero Boutique Hotel can relax in the property’s garden or patio. The 24-hour front desk can arrange luggage storage services. The bus station is 650 feet away. Le Vrero Boutique Hotel was declared a site of cultural interest by the town's mayor. Tourism information is provided. 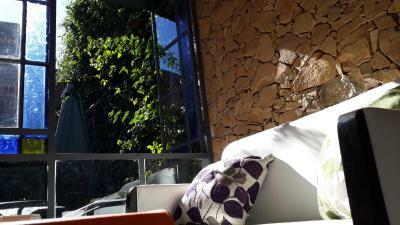 When would you like to stay at Le Vrero | Boutique Hotel? This room features a private bathroom with a hairdryer, a 32'' LED cable TV, heating and air conditioning, a safe with a key, and a ceiling fan. The room has a small empty refrigerator. 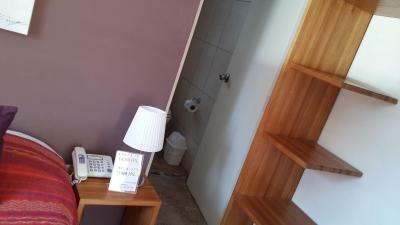 This room features a private bathroom with a bidet and a hairdryer, a 32'' LED cable TV, heating and air conditioning, a safe with a key, and a ceiling fan. The room has a small empty refrigerator. The terrace features a sitting area and views of the vine described by Uruguayan writer Mario Levrero. An extra bed can be accommodated. 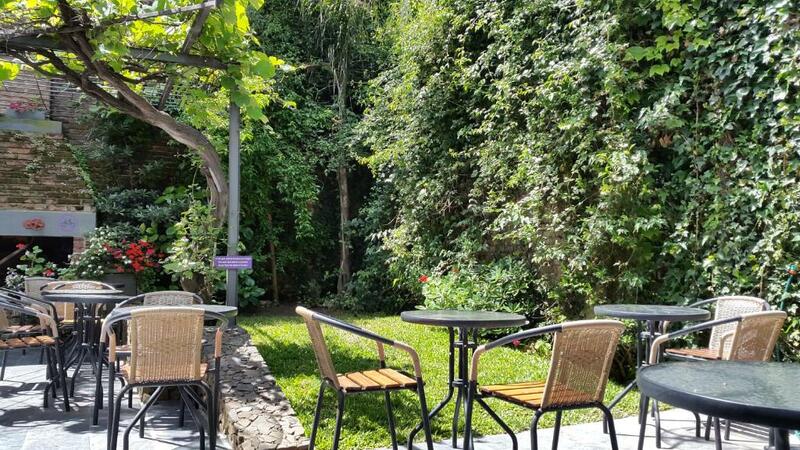 This room has garden views and views of the vineyard, a private bathroom with a bidet and a hairdryer, a 32'' LED cable TV, a safe with a key, a small empty refrigerator, heating and air conditioning and ceiling fan. This room features a private bathroom with a bidet and a hairdryer, a 32'' LED cable TV, heating and air conditioning, a safe with a key, a small empty refrigerator, and a ceiling fan. The room is on the first floor and is accessible through stairs. 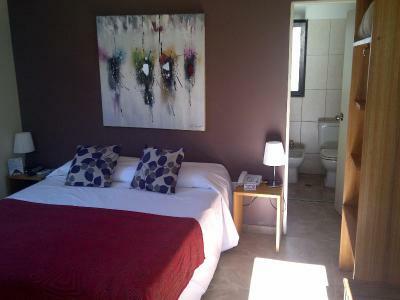 It is declared of cultural interest by the city of Colonia del SACRAMENTO Here lived the famous Uruguayan writer Mario Levrero.It is located 200 meters from the port and 180 from the terminal buses.No need to take taxi.9 rooms all with en suite. House Rules Le Vrero | Boutique Hotel takes special requests – add in the next step! Le Vrero | Boutique Hotel accepts these cards and reserves the right to temporarily hold an amount prior to arrival. Please note, American Express credit card is not accepted at this hotel. No pets are allowed. Don't enter the property with bikes, boats or kayaks. Children under 12 years old are not accepted. Breakfast was rather poor, coffee was poor. 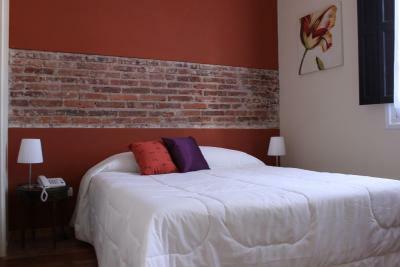 Very convenient location - near to bus station and terminal. Pleasant staff. We had the superior room with the terrace which gave us more private space and light; the other rooms we saw looked rather dark and cramped. The room and bathroom were very clean. Great staff and location close to everything! I only had one night in Colonia and Le Vrero was just what I needed. It was a very short walk from the bus station and very close to main street, restaurants etc. 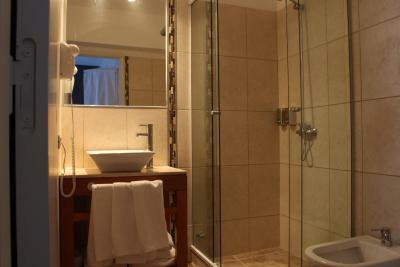 Nice, clean, in city centre, close to ferry and bus terminal. Friendly staff. The room was not finished to very high standards. The mattress was not of hight quality. The room was comfortably large. 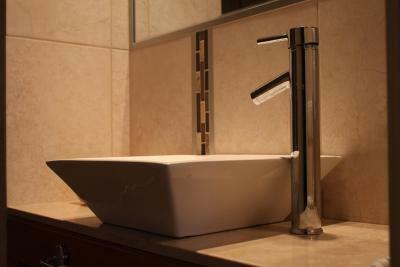 The bathroom had modern good fixtures. The shower was not in a good shape. Excellent location, friendly and helpful staff. The staff were friendly and gave us a different room when we didn't want to face tbe street.. 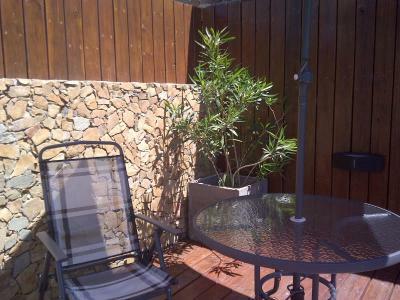 The location is good - near the ferry and bus terminals and a short walk to the historical area. Breakfast was nice..
Nothing- all was as expected. Rooms and bathrooms too small; Breakfast is horrendous, almost no options; The fact that you have to leave your keys every time you go out is annoying.